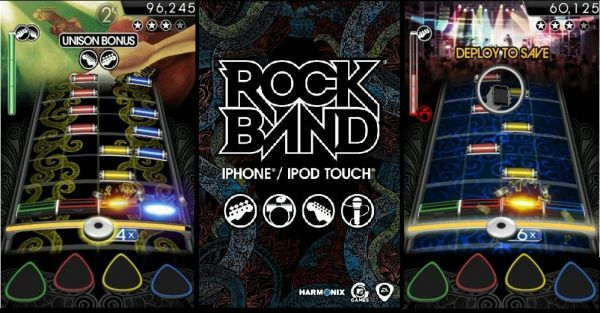 The Rock Band iPhone app has been released, and is priced at $10. That may seem a bit steep for a iPhone app, but since the game includes twenty songs, that's actually a decent deal for the music alone. Four player co-op is supported via Bluetooth. The game is controlled by tapping the screen, which I'm sure feels more like drumming than strummng. Oddly enough, even singing is controlled the same way. That could be good or bad, depending on the quality of your co-op partner's voice. Song packs are also available, coming at the price of two songs for a buck. Page created in 0.4704 seconds.